Have you already received your new Abs-A-Round Pro? Congratulations! But now you have the belt in your hands and don´t know what to do? Although the ABS-A-Round Pro is a multitasking fitness EMS trainer, that doesn’t mean that it´s complicated to use. We are very pleased to give you some detailed instructions. 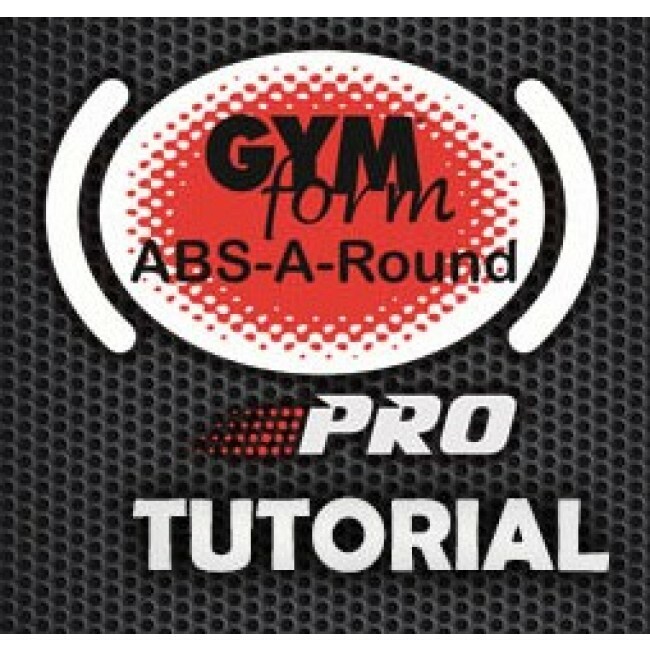 You´ll see that you can use your new Abs-A-Round Pro just following some simple steps. Are you ready? Let´s start! 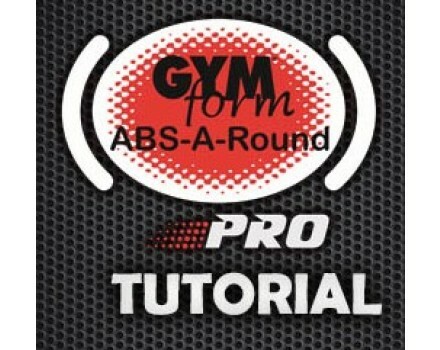 Step 1 – How do I set up the Abs-A-Round Pro? Insert three AAA batteries into the console. Attach the console to the front part of the belt using the six snap fasteners. Ensure that they are all well fastened or the belt will not work properly. Attach two electrodes to the front part (abdominals) and two electrodes to the back part (lower-back) of the belt. Attach the two double electrodes to the two oblique parts at the sides. Make sure that all the electrodes are well fastened using the snap fasteners. Don´t remove the protective plastic backing from the belt electrodes during step 1. Step 2 – How is the correct way to put on the belt? Remove the protective plastic backing from the belt electrodes. Recommendation: Do not throw the protective plastic backing away. After each training session replace the protective plastic backing on the electrodes. This will help extend the useful life of the electrodes. Put on the belt. Close using the adjustable strap. First pass the strap through the buckle and then fasten it using the quick opening and closing system. ALL electrodes are in contact with the skin? If not, just adjust and tighten the belt a little bit more. The belt won´t switch on, if one of the electrodes is not in contact with the skin. Step 3 – How do I switch the Abs-A-Round Pro on and how can I select the programme? Press the ON/OFF button for one second to switch on your ABS-A-Round Pro. To select a programme, press the programme-selection button, which is marked with the letter P.
Step 4 – How do I select the intensity level? Choose the intensity level for each part of the three work-out areas. When the digits of the chosen part flash, press the button to decrease/increase the intensity level. You can select a different intensity level for each belt part. Each programme has 99 intensity levels. Step 5 – So now, how do I start with the work out? Once you have chosen your desired intensity level, the ABS-A-Round Pro will automatically start with the work out. We recommend that you increase the intensity level very little until you are familiar with the device. You can adjust the intensity level for each area during the training session. Step 6 – How do I switch off the belt? Are the 10 minutes of your new work out experience already over? Don´t worry, the ABS-A-Round Pro will automatically switch itself off 10 minutes after being switched on. Do you want to finish your session before the end of the training session? No problem, you can switch off the belt any time you want by pressing the ON/OFF button for one second. Step 7 – How do I remove the belt correctly? We know... you don´t want to finish your training with your new ABS-A-Round Pro, but 10 minutes a day is really enough. Ensure that the electrodes do not stick to the skin. Remove them one at a time by pulling them from the edge. After each training session replace the protective plastic backing on the electrodes. This will help extend the useful life of the electrodes. If you notice the electrodes have prematurely lost their adhesive power, wet them with a damp sponge. We recommend that you replace the electrodes after every 30 uses. How can I use the leg and arm belt? Attach the double electrodes to the belt using the snap fasteners. Attach the console to the front of the leg and arm belt using the six snap fasteners. Ensure that they are all well fastened. Remove the protective plastic backing form the electrodes. Adjust the belt and ensure that the belt is well secured with the quick opening and closing system so that the electrodes are in contact with the skin. To choose the programme and intensity level, please follow the same instructions given in the above section. Enjoy this new and extraordinary training experience with your new Abs-A-Round Pro!